We order from manufacturer for you. The Wychrood Drift range of fly rods including the 9ft 4 weight 4 section have been designed specifically with the modern river angler in mind/ These rods are action will propel a large dry fly considerable distances on large rivers. With the new fly lines and lighter tapers that we now have at our disposal like the "River Nympher" #2 to #4 Floating Fly Line, we can get so much closer to our target fish and when fishing at such close range, rods with softer, middle to tip actions, as featured on the Drift range, are far more effective. With their middle to tip action the Drift rods will allow you to hook and hold fish at short and medium range with very thin tippets, small dry flies or nymphs, without fear of the hook pulling out. Drift rods like the 9ft 4 weight enable you to take your time letting the rod take the strain when playing big fish in fast water, the soft action will ensure every lunge is cushioned effectively. 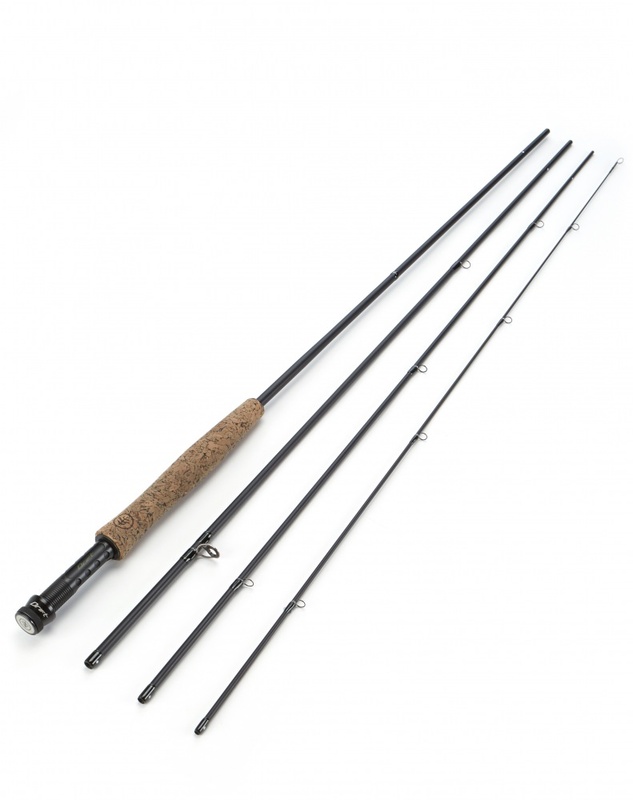 The Drift fly rods feature an understated matt black finish, with black, lacquered whippings and olive highlights. The new P cork handle, features a camo look to ensure that it is discreet, not as bold and bright as the usual cork, in any challenging fishing situations. Featuring a unique 20cm marker whipped the blank above the handle as in most competitions, only fish of 20cm or more are counted. This allows you to quickly check if it is a qualifying fish. With high end cosmetics, Pac Bay guides throughout, cut way and anodised reel seat, featuring a visible rod blank, these rods look as good as they perform!